Choosing your daughter’s destination school can be an involved and sometimes bewildering process. Choosing a senior school is probably one of the biggest decisions you will make during your daughter’s time at Hanford. Helping you to find and select the right school for your daughter is something that Hanford take a great deal of care over. 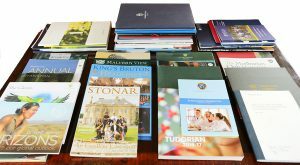 The Headmaster is regularly in touch with some of the more popular leaver’s destinations as well as leading senior schools both locally and further afield. These visits help him to keep up to date with the latest entry requirements, culture and ethos of the school. In the past 10 years Hanford girls have all be awarded places at their first choice senior school. We also hold a Senior School’s Fair in the Spring Term where you can meet representatives from some of the schools listed below. 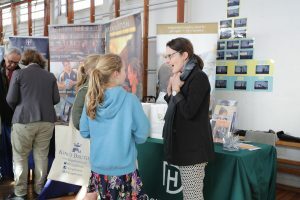 It’s an opportunity to meet a number of destination schools in an informal setting in one go. Below are list of the most popular destination schools for our girls. It is not definitive as we are open to working with schools from all over the country and beyond.